It’s the kind of question that’s set a lot of people thinking – what was your first scary film experience? 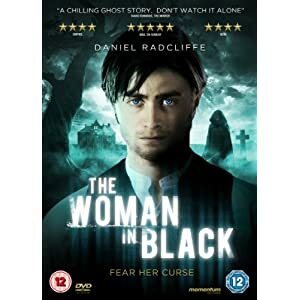 Momentum is using it as one of the hooks for its PR campaign for the June release of the year’s most successful horror film (and the most successful British horror flick ever) The Woman In Black. We’ve already looked at the independent’s staff’s own first scary film experiences, but here’s a few more from across the industry. Andy Anderson, HMV: The first X film I ever went to (1976, before 18 cert existed) was “Squirm” – mutant worms attack mid-America. Not very good, plus at 14 I don’t really think me and my mates looked 18, but it was a quiet day. I watched some of it through my hands. Most likely today it would be given a 12A. Jane Lawson, High Fliers: I found all those freaky biblical references almost believable and it really scared me – even though I am not religious. I remember stumbling upon it when it was on TV and was so terrified that I could not walk home from the bus stop for weeks afterwards, thinking a demon, was going to jump out and get me. A family round the corner had two massive Dobermans which I was convinced were the devils’ dogs and they would often nearly escape as I went past. I was only young (and impressionable) at the time and it traumatised me. No other horror film has ever had such an impact on me. I was SO relieved to pass my driving test so I never had to walk home again. Mark Anderson, High Fliers: For [my first] scary film I would have to say Jaws and the moment when that head appears from within the boat. Everyone used to scream when they first saw that bit. But what I remember most from my childhood for being scared by was the TV series Hammer House Of Horror, that used to give me nightmares every week but I still could not wait to see the next story, the opening title sequence, the old spooky house and the music was great too. I got the box set a while ago and enjoyed watching them over, not quite as scary now but there’s still something about them. I started watching it, with a friend, in the evening. But we got so terrified we had to finish it the next day during daylight – in order to maintain a sense of normality. And the reason: Jack Nicholson. Simples. Tim Murray, The Raygun: As a junior school, fresh-faced, innocent lad, I saw two films that were forever inextricably linked and, the predictable Doctor Who aside (The Sea Devils at the age of about six-years-old, since you ask), they had a profound impact. Both were, to my hazy memory, screened around 7pm on a weekday (school) night on BBC1, after Nationwide. The first was The Cat And The Canary, the Bob Hope classic, the second was Carry On Screaming; both had a similar feel to them – comedy flicks with what the BBFC might deem “mild threat”, but they were enough to introduce me to horror. Later it was The Exorcist, a film I’ve talked about here already, and there’s another one, mentioned in Momentum’s first scary film experiences that similarly freaked me and a few mates from school out when we watched it in about 81 or so, The Changeling, a George C Scott flick that was more supernatural than the out and out horror we were watching at that time. One moment, when a red ball comes bouncing down the stairs, had us screaming. But the one that terrified me as much as any from the video nasty era was driller killer. After hearing tales about this notorious flick, I finally got to watch it round a mate’s house one half term. It was the anticipation leading up to watching the film, the sleeve image, that chimed more than anything. What also had a profound effect that my mate’s dad was a scrap metal dealer; a scary figure who you didn’t want to cross. I’m sure you’ll know the tales of scrap metal dealers and their links to the criminal fraternity. Whether this was the case with my pal’s old man was never entirely clear, but the fact he’d sternly warned my mate of the consequences of him and his friends watching it while he was at work during the holidays made watching it all the scarier. In fact, the fear of him returning unexpectedly and catching us watching this nasty was probably the most frightening thing about it. I’ve found this and much of Abel Ferrara’s work dull, over-rated and self-indulgent, but the fear of having the crap kicked out of me by a shady character certainly added to the excitement… Like many of my generation, (children of the video nasty era, as I am wont to say), by the time I saw The Thing, my first X certificate film in 1982, I’d just turned 16-years-old and looked a good few years younger, I’d already seen far scarier and more graphic films. But like Driller Killer it was the fear of being caught, of knowing that I was doing something faintly rebellious, as well as Ennio Morricone’s John Carpenter-influenced syntt-driven score to the opening sequence, that made for a more frightening experience.